Amrit The Internet Is Facebook free in Ncell? Is Facebook free in Ncell? Facebook, a dominant social site with millions of user is being used by many people all around the world whereas Ncell is the telecommunication company that runs in Nepal which belongs to Axita a Malaysian Company before that it was under Telesonaria an European Company, is offering various scheme for increasing its business through brings various packages and free offers. Last year Ncell declares Wikipedia and Twitter as a free sites to visits through Ncell internet, no data charges for them, which is said that this type of scheme is like promoting some sites against the net neutrality policy so that other better and best new developing sites get difficult to compute with them. 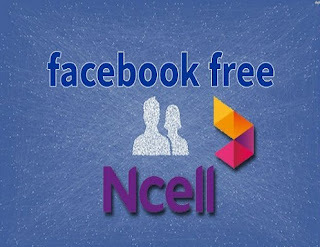 Here come about the Facebook free in Ncell which is not totally while it was declared. It was said that you can view timelines but needs to pay data charge to see a photo and no message or chatting allowed with in free data scheme from facebook application. But most of people said it's not working as it is stated. It is one of the way to fool people as you on your internet it charges your balance if you have balance either by background data or the same so called free sites. There comes another problems together as it also not providing good internet signal so it's even difficult to finish your data pack you have bought in many places. In this period of 3 month it has said Facebook will be free with some closeness might be it under go with huge maintenance. Truly speaking the quality services providing by Ncell is declining these days. Most of time when you refresh your timeline in android Facebook app you just get the same timeline in a bit changed order which is also possible sometimes when you are out of internet or when you are offline. So, what it means the internet is not working well. Be sure you are not going to use Facebook free all the time it may not work sometimes it's only an advertisement though you may experience for sometimes someday ago that is different thing. But twitter is till free including Wikipedia on which many people are unfamiliar whereas Facebook is the good source of income through internet. Why did it lose its income through it? There is no way for getting a Facebook free as many people use it and its good income source for them. So, can you call Facebook is free in Ncell? I am sure you would. In fact it is but it's slow sometimes. How frequently you use Ncell? How much trust do you have over it? It's up to you I don't use it that much limiting within some site like twitter. You can enjoy Ncell anyway however you need to understand well before using some of the services. Wish no one get confused onwards as always keep in mind whatever it does is with the profit motive. Wish we would get best service soon with reasonable cost instead of making a fake advertisement. Enjoy Facebook free on Ncell using browser and go to facebook site where you can even enjoy chating as well. If any queries and feedbacks you have you can freely share to us.